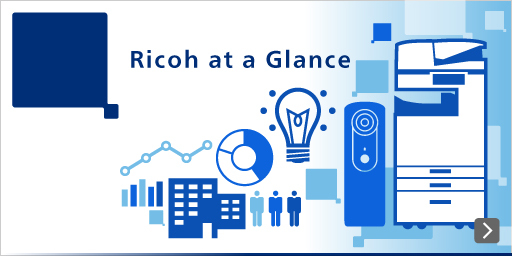 German "iF Product Design Award 2013"
Ricoh's Aficio SP 100 B/W laser printer has won the "iF Product Design Award" at the "iF Design Award 2013." This prestigious annual international design award ceremony is held by iF International Forum Design GmbH of Hanover, Germany. The iF Design Award is a leading design award that has been presented by iF International Forum Design GmbH since 1953 to industrial products from all over the world that display superior design. Each year there are many applicants for this award. The winning products are selected from among four categories: "product," "communication," "material", and "packaging." Winners are highly esteemed as products with a superior design that is recognized internationally. One of these awards, the "iF Product Design Award" evaluates not only superior originality and innovation in design, but also considers the functional aspects of the product, including ease of use, quality and environmental friendliness. 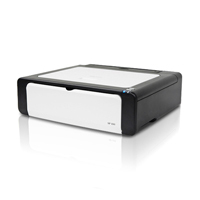 The Aficio SP 100 is a compact A4-sized B/W laser printer that can be set up on an individual desk. The printer employs a system for refilling genuine toner which strikes a balance between low cost and waste reduction. Delivering performance for office work in SOHO and small- and medium-sized business settings, it is currently available throughout Europe, North America, and Asian countries, mainly China. By emphasizing "White" to produce a sense of compactness and adjusting the black color scheme by developing a folding paper-feeding component, the design reduces the impression of mass, resulting in a slim look. You can find out about other design considerations here.